Yes, you did hear that right. 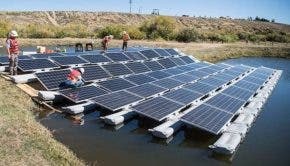 For the first time ever, speaking for the oil and gas industry, the American Petroleum Institute is including solar among the energy sources that should be taken seriously in the next couple of years. Solar energy is now more affordable than ever. According to SEIA/GTM Research, national blended average system prices have dropped 53 percent since 2010. Today, the solar industry employs 143,000 Americans and pumps more than $15 billion a year into the U.S. economy. The United States is in the midst of a new era in domestic energy abundance characterized by rising use of renewable energy and increased oil and natural gas production that is strengthening our economic outlook and enabling America to emerge as a global energy superpower. It’s a remarkable transformation that has been made possible because America is uniquely rich in energy resources, a talented workforce, and cutting-edge energy technologies. Counting solar-powered vehicles and power grid improvements, which fall under other technologies, the loan guarantee likely provides a share greater than 10% to sustainability. The API concurred in its summary, reinforcing the point that economic growth in the United States relies on the energy sector to ensure continuance of the valued American quality of life. Access the full petroleum energy trade organization report here.